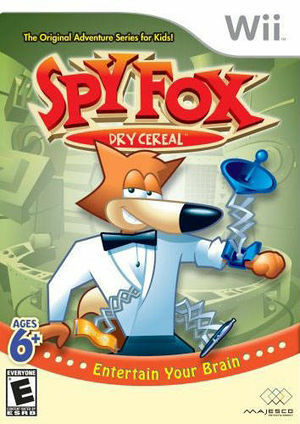 In Spy Fox in Dry Cereal, Spy Fox is a suave secret agent who battles dastardly characters such as William the Kid, Napoleon LeRoach, and King Conglomerate with his cohorts Monkey Penny, Quack, and Walter Wireless. Characters may be standing still during cutscenes, this can be fixed by setting the Texture Cache to Safe position. The graph below charts the compatibility with Spy Fox in Dry Cereal since Dolphin's 2.0 release, listing revisions only where a compatibility change occurred. This page was last edited on 13 January 2018, at 13:58.